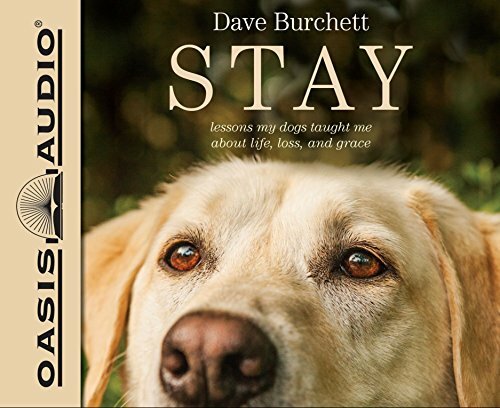 Synopsis: Amazing (furry) lessons from a dog's lifeYou'll be enthralled by this story of a man and his lovable Labrador retriever, Hannah, and what their canine friendship can show us about life, grace, and long walks in the park.Hannah was Dave Burchett's best friend. He couldn't imagine starting a day without her tail wagging an energetic greeting, her body wiggling with sheer gratitude when her food dish was filled, and her unbridled enthusiasm for tennis balls. (How she fit three tennis balls in her mouth at once, he'll never know. )So when he first learned of Hannah's cancer diagnosis, Dave decided to take whatever time he had left with Hannah to cherish the moments and capture his thoughts in a journal. As he wrote about his canine friend, he soon realized that Hannah was an able (and loving) mentor of faith, grace, kindness, and forgiveness. The lessons were invaluable: from being present""to trusting the master."" Dave started to see that the insights he was gaining were more than just journal entries about a family pet. Through Hannah's antics, God was preparing Dave for life itself.